Not knowing how to size your bets is one of the most atrocious mistakes you can ever make in a poker tournament. Trying to find out how to bet in a poker tournament? Learn how to size your bets properly with our beginner's guide! Not knowing how to size your bets properly is one of the most atrocious mistakes you can ever make in a poker tournament. Make your opponents think that you don't know how to bet in a poker tournament, and they will (figuratively speaking, I hope) eat you alive. Place a wrong bet and you will suddenly turn yourself into the easiest target at the table. That's because sizing your bets in the correct way is a crucial element of building a solid image at the table. If you are planning to head to a casino to play your first poker event against total strangers, and you are not sure about how to size your bets either before or after the flop, have a look at this quick guide that we have prepared for you. it leaves you liable to being reraised. Min-raising preflop with marginal hands that you can't call a three-bet with is a major leak in my game, which is why I tend to stick with larger opens. The 3x Bet. This used to be the standard opening raise size, and in fact still frequently works well during the early stages of a tournament. Often during the first few levels your stack is so large in relation to the blinds in play that it really isn't worth opening for any less. It sometimes seems attractive to play looser in the opening stages, and to call lots of bets preflop in the hope of building a monster pot to win at the river, but playing tight and opening a decent range with at least a 3x raise guarantees that you aren't ignoring the early blind levels. 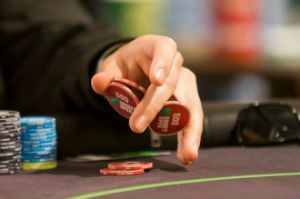 As the tournament progresses, however, and you gravitate towards the 25-35 big blind level, it may not be possible to open every hand with a 3x raise, which is why poker players tend to shift down a gear. The 2.2x-2.5x Bets. If you are trying to learn how to bet in poker like pros do in the most prestigious poker series, have a look at this. Normally these opens are between 2.2x and 2.5x, although this sizing usually depends on the player. Towards the middle to late stages of tournaments, there will be all sorts of stack sizes seated at your table — the big stack who has enough chips to last well into the next level; the short stack looking for a double-up to get back into the game; and those in the middle who are comfortable, at least for now. The shorter stacks (those who aren't moving all-in preflop) don't have enough chips to open for 3x and fold, but they may still want to open with a raise. Similarly, larger stacks want to make it appealing for opponents to call an open without scaring them off. This bet-sizing of between 2.2 and 2.5 times the big blind is perfect for both stack sizes. 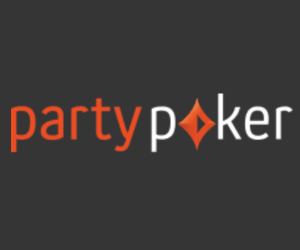 partypoker is one of the biggest poker rooms in the world, and operates in most European countries. Sign up through PokerNews and get a deposit bonus of up to $500 + 40% of your rake back every week! 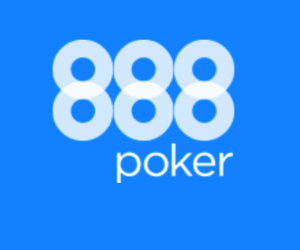 888poker is widely available in Europe, and in most European countries you can log in and play without having to live in the country. Use bonus code NEW888 and get a free $88 + 100% up to $888. 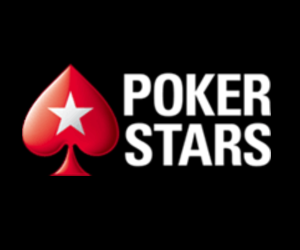 PokerStars is the biggest online poker room in the world, and operates in every regulated market in Europe. Sign up with PokerNews and you get a 100% deposit bonus up to $600! 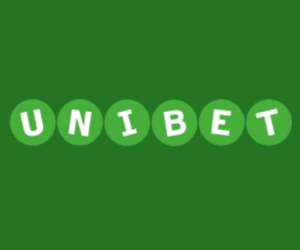 Unibet is one if the biggest betting firms in the world, and their poker product is top notch. They're giving you a €200 Welcome Bonus + €12 Unibet Open Tickets + €8 Cash game ticket if you sign up through PokerNews. A poker hand often falls into certain patterns, the steps from the deal to the showdown together often appearing like a familiar series poker presents time and time again. But don't be fooled — in fact, when it comes to postflop play there are an infinite number of bet sizes for you to choose from. I've tried to stick to the three main sizings, with examples for each of them. Small bets (~1/4 pot). 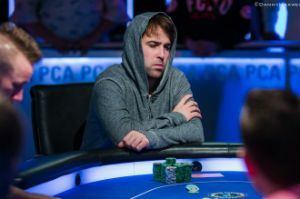 The small postflop bet invites the same problems min-raises before the flop do — you simply don't put enough money into the pot to give yourself a chance to fold out opponents. But that doesn't mean there aren't times to use small postflop bets effectively. Against certain players who you are aiming to check-raise, providing they are aggressive enough and/or view a small bet as weak, you could do so to induce a slightly bigger raise out of your opponent. It is the middle stage of a multi-table tournament. You are in the small blind on an average sized stack and a player in early position opens for 2.5x. You look down at and you elect to call. A tight-aggresive player in the big blind who has been playing a lot of hands aggressively three-bets. The initial raiser gets out of the way and you call. The flop is . You've flopped the nuts. You know your opponent's three-betting range is going to include a lot of overpairs to the board, other pocket pairs, and high Broadway cards. Therefore, instead of donk-betting or check-raising, put out a small bet of around 20% of the pot. If your poker brain was correct, the aggressive player should raise and you can move on with the hand from there. Against aggressive players who like to continuation bet and raise players out of pots, try and get the maximum out of them when you flop strong-to-nutted hands like this one. Be careful of your own table image, however. If you appear to be a competent player, a small bet such as this could appear suspicious to your opponent. Medium bets (~1/2 pot to 3/4 pot). I like to refer to this bet-sizing as the Goldilocks sizing — not too big, not too small, jusssst right. Your holdings and the board texture will dictate exactly how strongly you want to bet, but a bet of this sizing should do enough to dissuade drawing hands from calling given they are not getting the right pot odds, and also reap rewards from weaker hands who would still call. This advice about bet sizing applies whether you are playing in some of the biggest series, games, tournaments, or other formats, although you always want to be aware the exact situation you are in when making decisions about how much to bet. Let's say it is the early stages of a tournament and everyone still has around the starting stack. A player opens from early position and you look down at on the button. Because you have such a large chip stack relative to the blinds at this early stage you decide to call. The flop comes and your opponent checks. You continuation bet for around half the pot and your opponent calls. The is dealt on the turn and again your opponent checks. Again, you slide out a half-pot sized bet and your opponent calls once more. The river is the and your opponent checks for a third time. At this stage, you are behind both and , but surely would four-bet preflop. A straight is possible as well, although that would require your opponent raising preflop from early position with either or , also unlikely. You bet 2/3 pot, trying to get a call from top pair. Your opponent obliges, calling and turning over for top pair, and you win with your set. Overbets (pot-sized bets or larger). It can often be profitable to bet the pot or even more than the pot, especially on turns and rivers. However, be warned that most players know that an overbet is extremely polarizing, suggesting you either have the nuts or nothing. 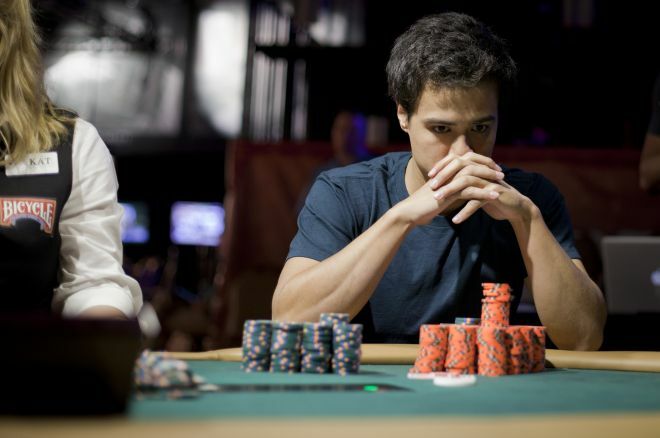 Use this to your advantage against players you have identified as weak and who perhaps tend towards the cautious side of things when facing a decision for a large quantity of their chips. A weaker player opens from the button and you call in the big blind with in the big blind. The flop comes . You check and your opponent continuation bets for slightly less than half-pot. You decide to call. Your opponent's range includes , club flush draws, and perhaps some smaller pocket pairs. The turn is the and it goes check-check. The river then brings the . At this point, you could slide out a bet slightly over the size of the pot. The weaker player goes into the tank for a while before calling with . Facing a bet of this sizing, a weaker player is going to know that it is immensely polarising, and might even find a call like this with some hands, or equally try and hero call with ace-high.